general overseers of some Pentecostal churches to defraud unsuspecting members of the public. It was learnt that Atanda created fake Facebook accounts for the general overseers of the Redeemed Christian Church of God, Enoch Adeboye; Mountain of Fire and Miracles Ministries, Daniel Olukoya; and the Synagogue Church of All Nations, Temitope Joshua, to dupe many. It was gathered that the 27-year-old businessman, who posed as the general overseers of the churches, sent messages asking members of the public to deposit N1,000 and N2,000 into a given bank account and receive N3,000 and N5,000 in four days. According to The Punch, Atanda usually blocked his victims’ account after they had made the payment so that they would not be able to reach him. He was, however, arrested after a petition was written to the police by one of the complainants’ counsel and he was subsequently arraigned before the Ikeja Magistrates’ Court on Wednesday. Atanda was arraigned on charges bordering on cybercrime before Magistrate M. O. Tanimola. He pleaded not guilty to the charges. 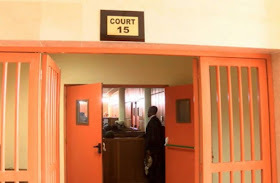 The police prosecutor, Aondohemba Koti, told the court that the defendant committed the alleged offences in October 2018. He added that the defendant used the names of the three general overseers on the Internet without their consent. 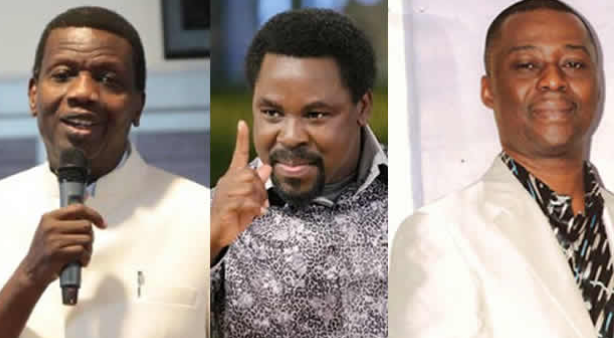 Koti said, “Atanda created fake Facebook accounts for Pastor E. A. Adeboye of the Redeemed Christian Church of God; Dr D. K. Olukoya of the Mountain of Fire and Miracles Ministries; and Pastor T. B. Joshua of the Synagogue Church of All Nations. “Upon the receipt of a written petition from one of the complainant s’ counsel, the police swung into action and the defendant was tracked down and arrested. Tanimola admitted the defendant to bail in the sum of N100,000 with two sureties in like sum. The sureties must be gainfully employed and show evidence of two years’ tax payment to the Lagos State Government. The case was adjourned till April 17 for mention.